Hey guys got some good news for those looking for RCA or roll center adjuster. 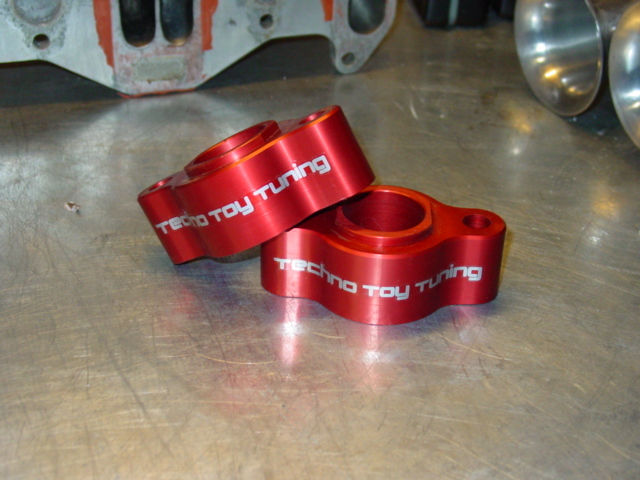 I just the first set from from Gabe at http://www.technotoytuning.com/vehicles.php I havent gotten a chance to install it on car yet but they do fit the RX3 strut casing and will also fit the 1st gen RX7. I got these made using the the 1st gen rx7 strut casing and steering knuckle, as we all know 1st gen front suspension will fit the old school RX. almost for got they come with new bolts. These guys makes great suspension parts and the quality are always top notch. If theres enough interest I can have him make a Negative Roll Center adjuster. 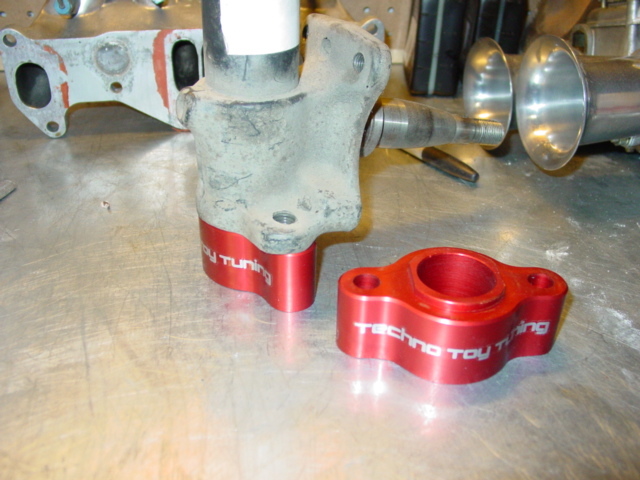 Looks good, does TTT have plans to produce and other suspension pieces for the RX3? Thanks. Last edited by smurfy RX3; 01-25-07 at 05:25 PM. What other suspension parts are you looking to get for the rx3? Gabe wont make any parts unless there's some demands for it. I'm trying to get him to make some Negative Roll Center Adjuster, but if theres not that much interest then its a no go. ****...Rx2's are different by a little bit. THink they would make the adjustment? I need this. How much are they and how do I get a pair??? If they do not and you want a pair, we have them in stock.